One only needs to turn on the television or visit a magazine rack to see that there’s a huge trend toward do-it-yourself (DIY) renovation and construction. Big box stores offer a huge selection of materials, tools, and even instructional classes that weren’t available a few years ago. DIY enthusiasts save lots of money, get great satisfaction from the work they do, and create living spaces that are precisely customized to their needs and wants. Some things, however, must be left to professionals. Work on your home’s waste removal system is one of those things. Not only is it a bad idea to make changes to your home’s septic or waste removal equipment, it’s against the law. In British Columbia, the Sewerage System Regulation spells out the rules for waste removal. This is to prevent the health risks that come with an inappropriate system of waste management from contaminating land and drinking water supplies, and placing the public at risk. 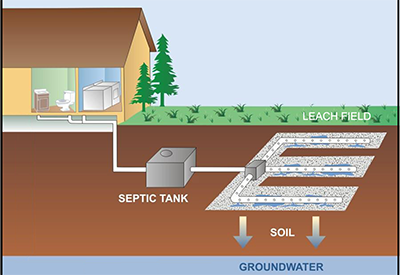 Under the Regulation, only Authorized Persons (a registered onsite wastewater practitioner, or a professional engineer) or homeowners under the supervision of an Authorized Person can construct or alter a waste removal system. All applications for alterations or construction must be filed with the health authority, and maintenance requirements must be outlined by the Authorized Person. Ongoing records must be kept, to ensure industry and owner accountability. In short, when it comes to your sewerage system, you are best to hire an expert. Edenflo Pumping, as a company of experts in the field, takes great care to ensure that the Lower Mainland’s environment is preserved for future generations. You can rest assured that we will always carry out our work in a responsible manner, with the health and well being of our customers, their families, and the general public, as our primary concern. If you’ve got problems with your waste system, or want to schedule preventive maintenance, call Edenflo at 604-575-1414 or fill out our online request for service. This entry was posted in Property Maintenance and tagged BC sewerage system regulation, DIY unauthorized in bc sewerage, expert advice sewerage system, professional waste removal services, waste removal system on April 15, 2015 by Edenflo. 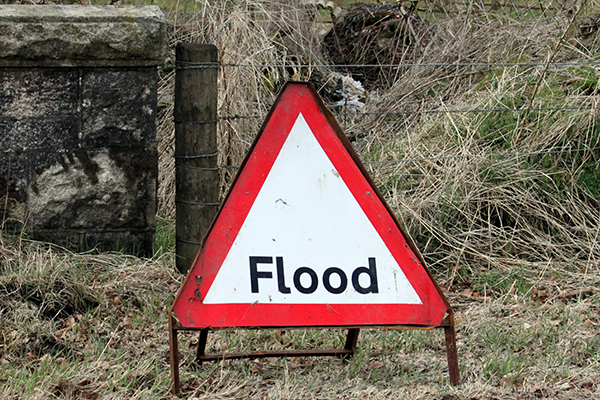 Flooding is nasty, especially if it comes from your home’s drainage system. Nothing is worse than coming home to find the basement filling with sewage backing up through the drains. A flood can be an expensive proposition – if your basement is finished, you’ll likely have to tear up flooring and carpets, have some drywall replaced, and sort through your destroyed possessions. You’ll have to deal with the insurance, contractors, and stress. The best way to deal with a flooded basement is to do your level best to make sure that it doesn’t happen in the first place. If your home is older, you live on a treed lot, or you have a septic system, you should consider a program of regular inspection and maintenance, including Video Line Inspection (use of a Closed-Circuit Television Camera to investigate the interior of your sewer lines) and hydro-flushing to clear out any debris. If your property has storm water catch basins, you’ll want to have them inspected to make sure they function properly – a buildup of debris can cause them to malfunction and excess water will find its’ way into your home through the foundation. If you have a commercial building with a food preparation space, you likely have a grease trap, which by law needs to be inspected and cleaned on a regular basis. Many building owners consider sewer lines an “out of sight, out of mind” issue, and don’t choose to go looking for problems. Unfortunately, by the time that a problem calls itself to your attention, it’s too late. Be proactive, and schedule an inspection today. For more information about preventive maintenance and other services offered by Edenflo, call 604-575-1414 or fill out our online request for service. This entry was posted in Property Maintenance and tagged Edenflo preventative services, how to prevent aging septic systems, Preventative Maintenance for Property Managers, property flood damage, sewer inspection Surrey, sewer inspection vancouver, Surrey preventative maintenance on April 8, 2015 by Edenflo.